Find below the list of top CBSE schools in Coimbatore with phone number, address, 360° School tours, 2018-19 Admission forms & Fees, photos, facilities & more. Our School educate timeless principles and skills relevant to today's global reality and the challenges of tomorrow. We build upon the basis that the future of our world rests upon the quality of its youth. Quality comes through care and attention. In having to raise children of quality and purpose, to make them the kind of citizens the world needs so much today than ever before, we have to educate children not just with instructions but train them in that direction with all the attention and care they deserve. Suguna PIP School aim to educate and inspire today's children to be responsible, productive and ethical world citizens. 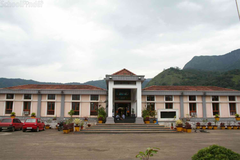 Air Force School Coimbatore is located in Puliakulam, Coimbatore. It was established in 1954. This school follows the CBSE board. The school has English medium. Delhi Public Schools have demonstrated their excellence time and again not only at the Board exams but on individual levels through the accomplishment of their alumni who rank among the top leadership positions across public and private sectors.Delhi Public Schools Society (DPSS), is a registered society which owns the brand name Delhi Public School (DPS). DPS, today, is the largest chain of schools in India and abroad. 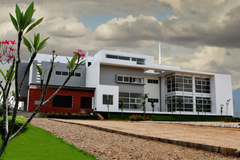 The CS Academy schools are co-educational and are located in Tamil Nadu, India. We follow the CBSE syllabus, with an optional International Cambridge stream planned in our Coimbatore campus. At our schools, we offer a high quality blend of co-curricular activities, sports and academics. 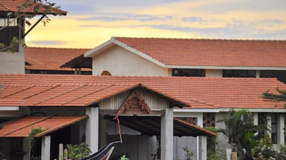 Ashirwaad Special School is located in R S Puram, Coimbatore. It was established in 1998. This school follows the CBSE board. The school has Tamil medium. 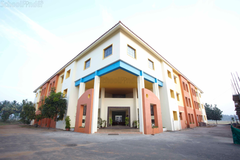 Shree Sarasswathi Vidhyaah Mandheer School is located in Sirumugai, Coimbatore. It was established in 1975. This school follows the CBSE board. The school has English medium. The Ideal Mount Litera Zee School is an endeavor by the Essel Group to prepare leaders of the 21st century through its education arm, Zee Learn Limited. Are you worried about your child's admission to a school? Worried about interviews in the best CBSE schools in Coimbatore? All it takes is a little bit of planning and going for a lot of options, which can be found on Sqoolz's list of best CBSE schools in Coimbatore. The top CBSE schools in Coimbatore are registered with us. Find all their details - location, address, fee structure, facilities and more! Also take our virtual tour, a feature that gives almost a first-hand experience to parents.